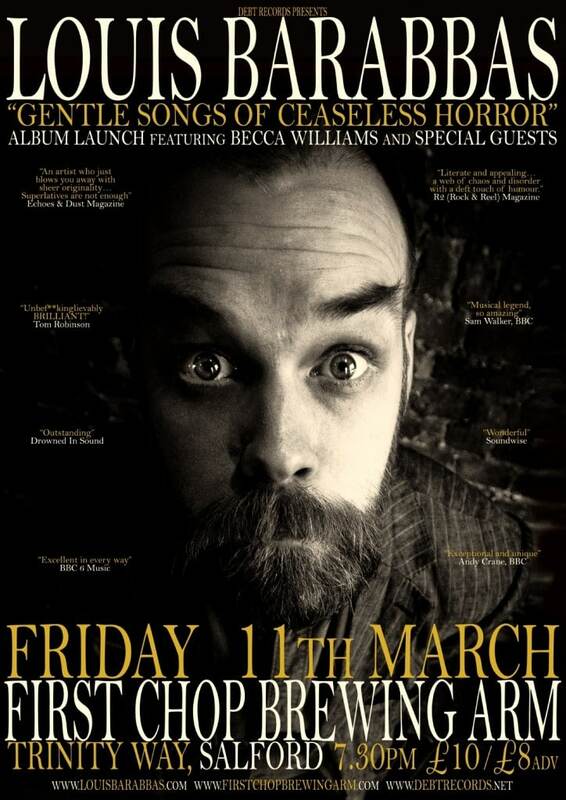 Louis Barabbas’ new album Gentle Songs Of Ceaseless Horror will be officially released on Friday 11th March. To mark the occasion Debt Records will be hosting a special event at First Chop Brewing Arm, Salford. Louis will open the night with a handful of acoustic numbers then hand over the microphone to label-mate Becca Williams. After that Louis will return with a specially created band to play songs from the new album, before taking requests of old favourites from the audience. Doors open at 7.30pm. Tickets cost £8 in advance (available here) and £10 on the door. If you have tickets for any other show on the album tour you can get in for £5.